Artists for Soup believes in the nourishment of the mind as well as the body. 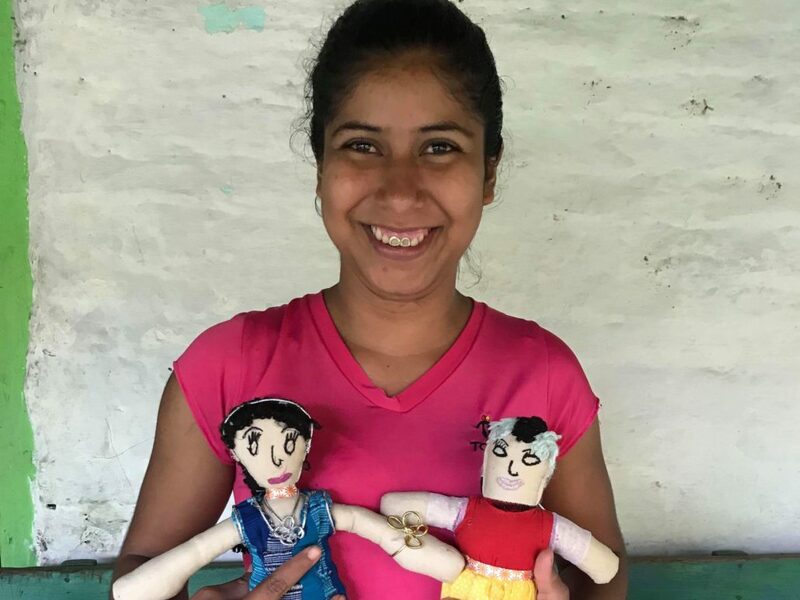 In addition to creating and maintaining biointensive gardens, our women’s arts collectives create handicrafts to sell. Biointensive gardening is physically exhausting work, so the respite of making art not only builds community within the women’s groups, but provides a much-needed creative break. The enthusiasm for our arts workshops spills back into the programs we design aimed at improving access to and knowledge of nutritious food. 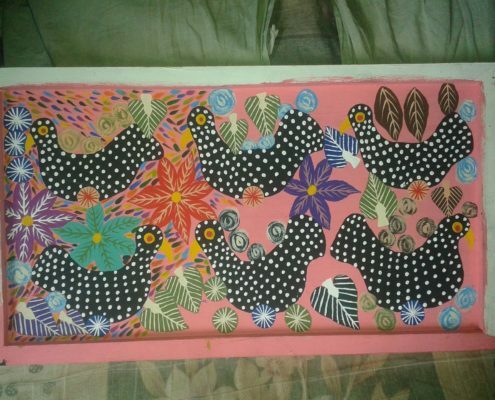 Artists for Soup sells goods created by the women’s arts collectives in Nicaragua and in the United States. 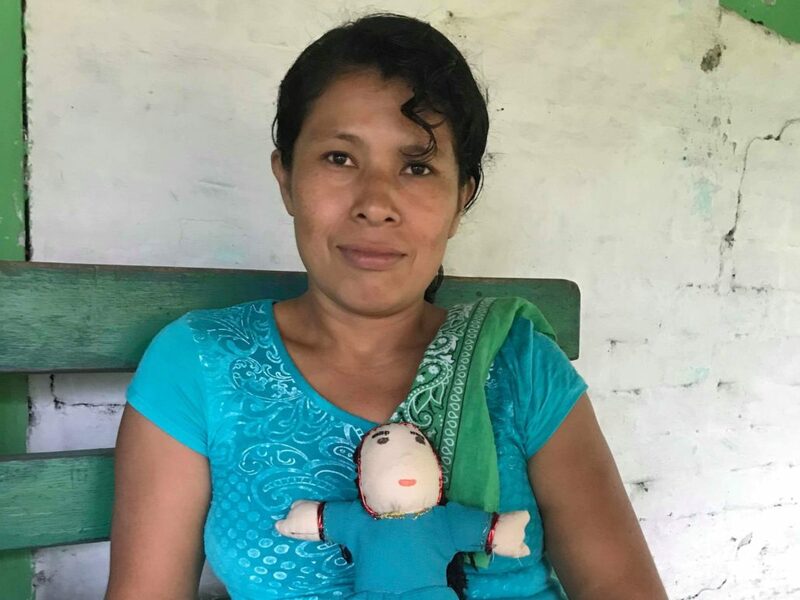 This additional income allows women to pay for small expenses such as school fees. 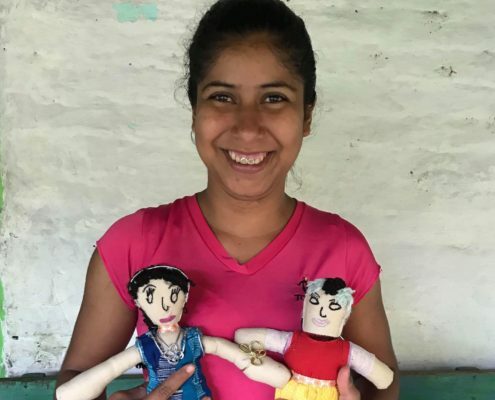 We support three burgeoning small enterprises which sell painted breakfast trays, handmade dolls, and bread. These initiatives encourage women’s leadership in their communities; and their status within the family also increases as the women earn an income. 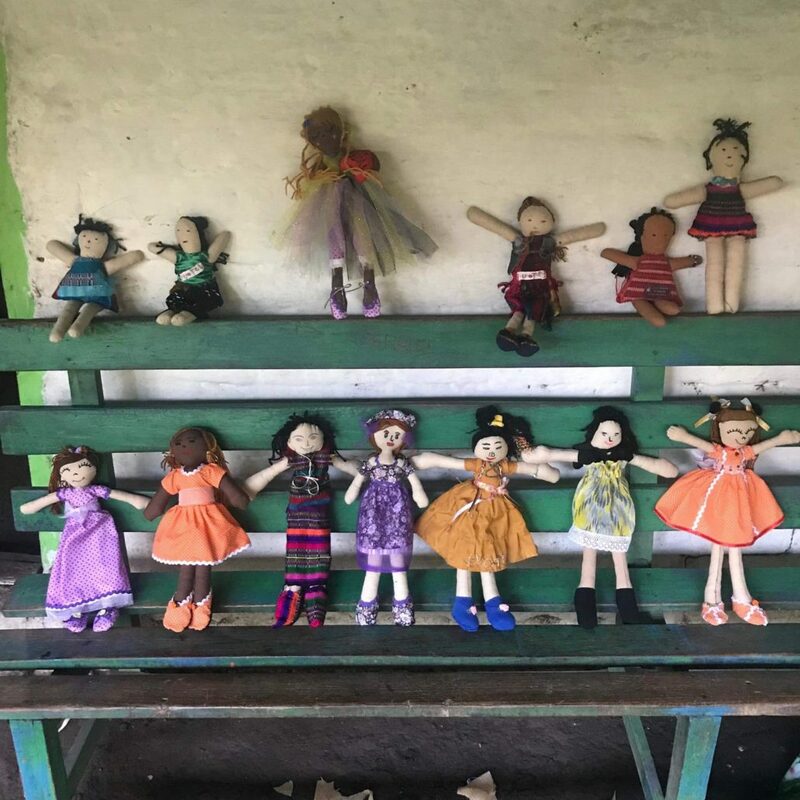 In April 2018, women gardeners in Corozo began making handmade “Dolls for Peace.” The women in this arts collective (from Masaya and Leon) have traditionally created dolls to sell in crafts markets as gifts or for religious activities. Artists for Soup will sell the dolls in the United States through online platforms, retail stores, and holiday and farmer’s markets. 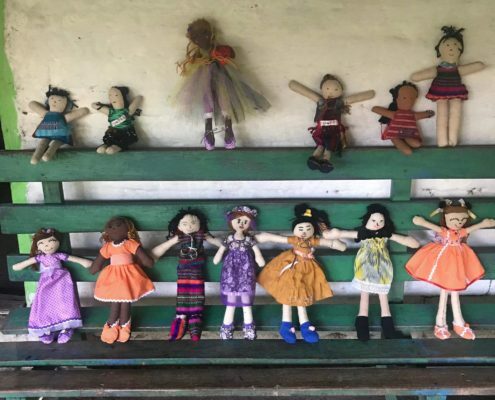 Each doll has a different message, in either Spanish or English, embroidered on its skirt. The women have thrown themselves into this creative activity, and this positive focus could not have come at a better time due to political upheaval beginning at the end of April 2018. 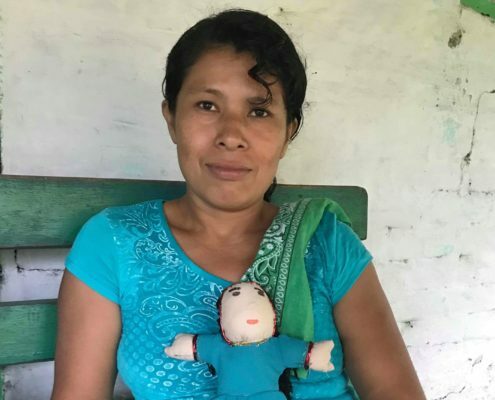 Each doll is accompanied by an image of the maker and a small note from the woman who created the doll. 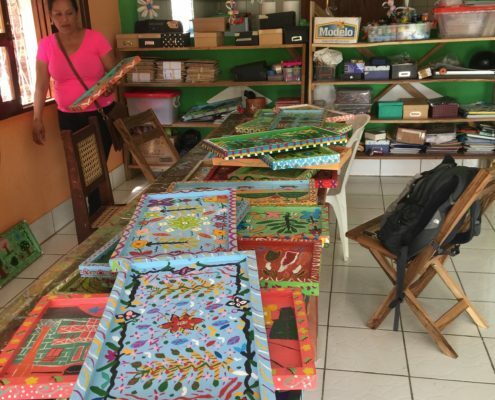 Since 2016, Artists for Soup has provided art books and art supplies as part of solidarity-building programming for women gardeners in La Paz Centro. This arts collective gives women a space to talk and create while also developing a product to sell. 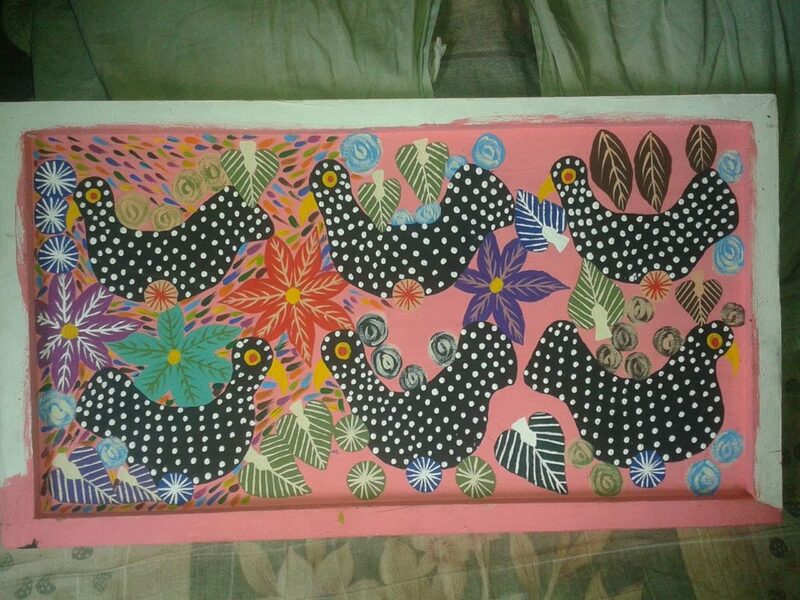 The painted trays have evolved over time and the women have become skilled at creating beautiful and detailed trays. U.S. artists have visited the painters and have given feedback and praise. One of the women painters hosts the painting sessions at her home for a group of approximately 10 people. Artists for Soup contributes a small amount to cover water and electric costs so that this work can continue in a shared space. 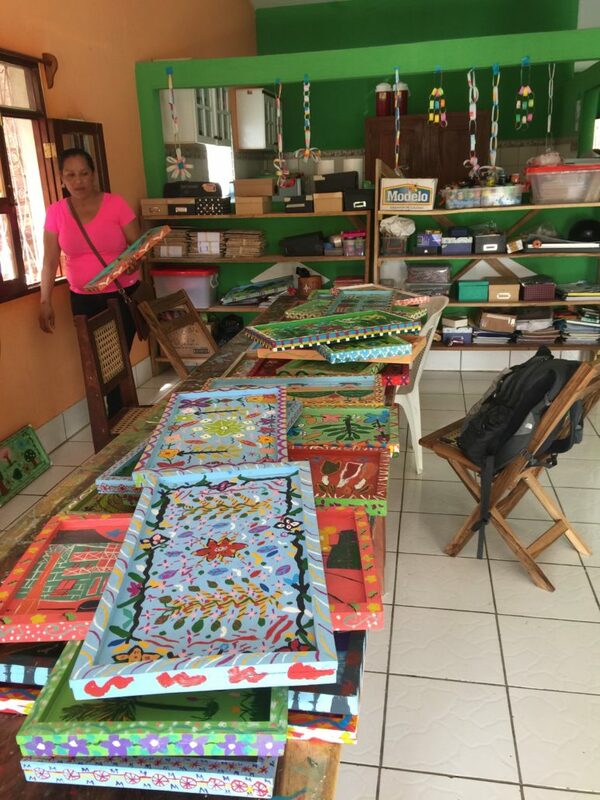 Artists for Soup supports two groups of 30 women in Corozo and Matagalpa through the purchase of high efficiency ovens (which require less wood and are more eco-friendly) and development of a small business plan for a bakery. These women have committed to baking nutritious whole-grain bread as part of an effort to improve nutrition in their communities. In addition to selling various types of healthy bread, the supplemental income these women earn will improve food security in their families.